Southern Flair as Sweet & Sassy as we Texan Ladies Like To Be. 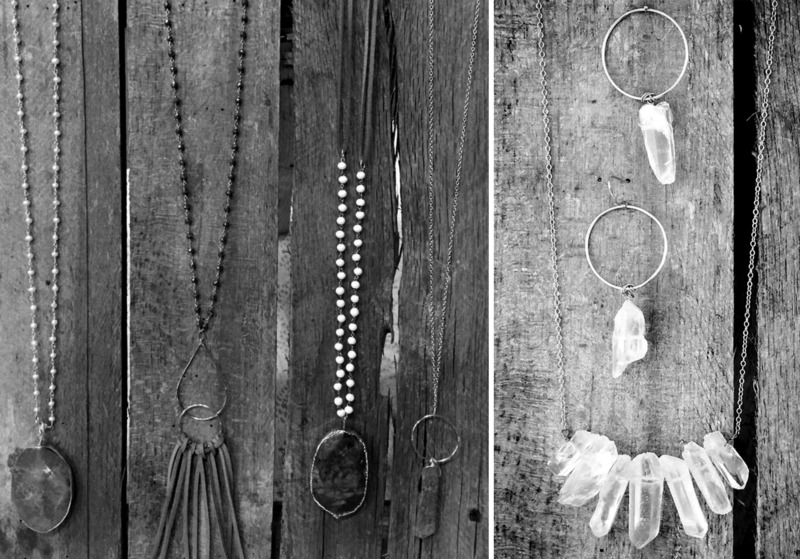 Well Paired Bold Stones & Leather or Graceful Chains & Charms. Beauty and confidence manifest in many ways, how you carry yourself, the way you speak, the outfit and accessories you choose to convey your personality. 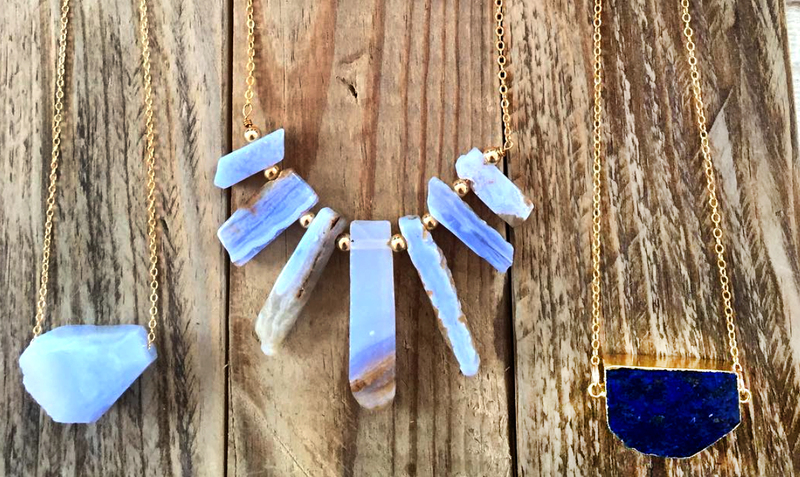 With statement jewelry like that by Rebecca Davis of Grace and Charm, you can find pieces as one-of-a-kind as you are! 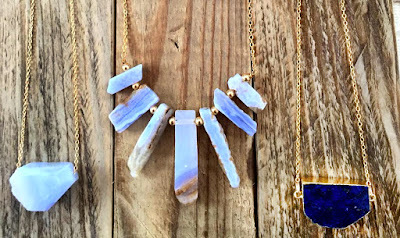 Rebecca finds her inspiration in the bold, yet graceful, down to earth, yet sophisticated ways of southern ladies, and she aims to encompass that charm in her custom line of jewelry. 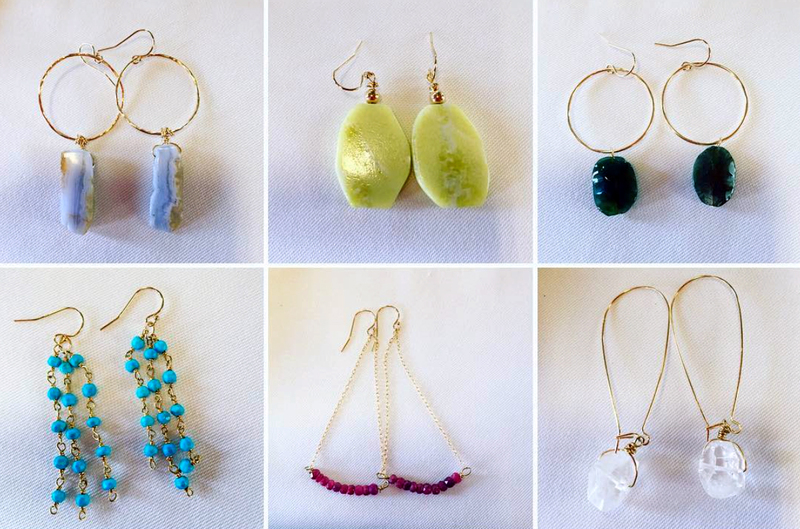 She uses a wide array of semi-precious stones, some small and dainty while others are large, colorful chunks. I may be biased being a southern lady myself, but how can you not love turquoise, jade, lapis, quartz?! These pair nicely with each other, but also standout as the star by themselves! Take Rebecca's cuffs for example, bold, often upcycled leather with a beautiful hunk of gem natural to the south! 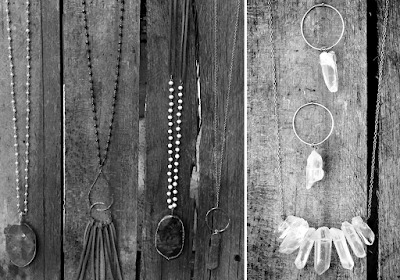 While she has some characteristic designs in her collection, each piece is handmade and unique. No carbon copies here. Rebecca is also happy to create custom designs to suit your individual style. That’s one of the perks of her process. She gets to piece together her earrings, necklaces and bracelets one at a time, see what graceful and charming designs she can come up with. This also allows her buyers to find something new and all their own every time she shows at craft fairs. 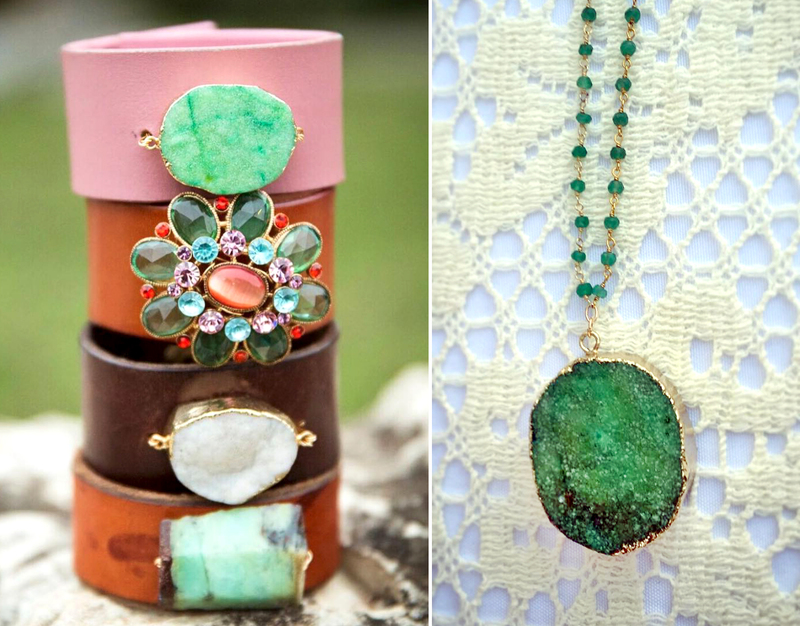 Match together two turquoise pieces for example for a set one day and find a beautiful quartz statement piece the next. Rebecca is herself one-of-a-kind in the competitive jewelry market we have today, with wonderful southern sensibility and flair!